Here we are at the end of 2015. I hope you had a great year. My 2015 was good, no complaints! I didn't blog about PEI or Newfoundland or Vancouver Island - yet. Shocking, I know! 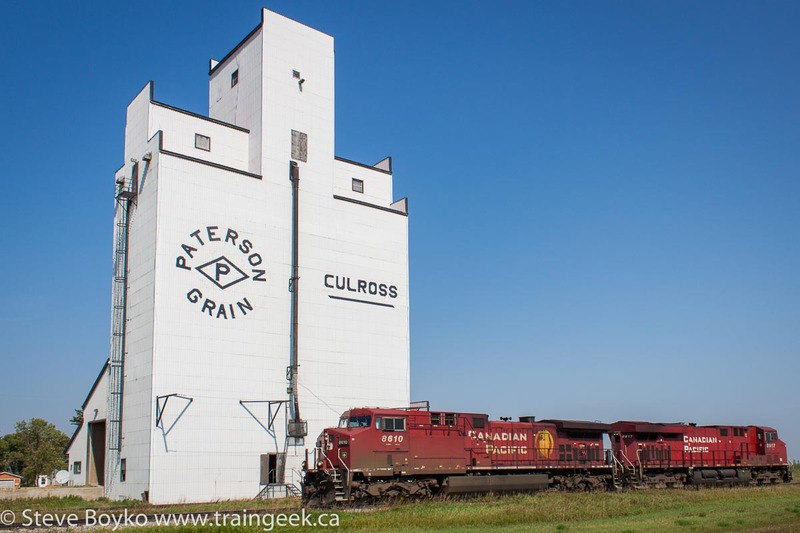 I did another grain elevator loop, this time a bit further north in Manitoba. 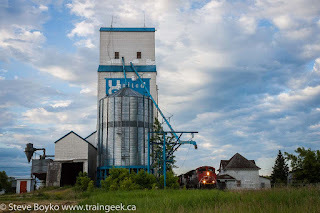 I finished writing about my southwest Manitoba elevator-hunting trip early in the year. 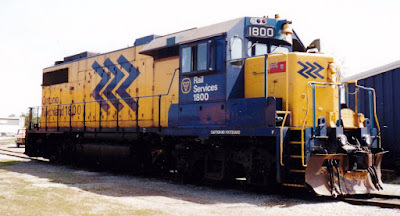 One very popular series I started was the 10 Questions series where I ask railfans, modellers, etc. 10 questions. I recently started this back up again and I have questions out to a few more people right now. If you have any suggestions on who you'd like to see answer the questions, please contact me. Confessions of a Train Geek had more than 75,000 page views this year, with the most popular posts being Instagram for Railfans followed by my first impressions of Lightroom 6's facial recognition. I took the advertising off the blog in May - not sure if you noticed - but I felt they were a distraction and it was only bringing in around $10/month anyway. I have not ruled out advertising, and if I bring it back I will talk about it in the blog. I wrote 102 posts this year, which is an increase over the 82 in 2014 and the 66 in 2013. I like to think I have been emphasizing quality over quantity in the past few years. I recently started another blog but I've only written a few posts to date and I'm not ready to make it public yet. Soon. 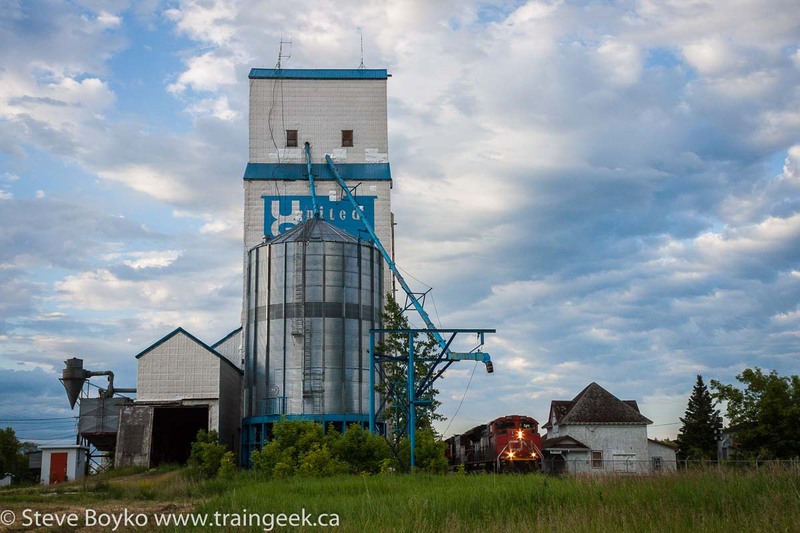 I published four train calendars this year as well as a Manitoba grain elevator calendar. If Santa didn't bring you a calendar, it's not too late to order your own now! I hope you have a safe and happy new year, and thanks for reading! I hope the holiday season has brought you joy. 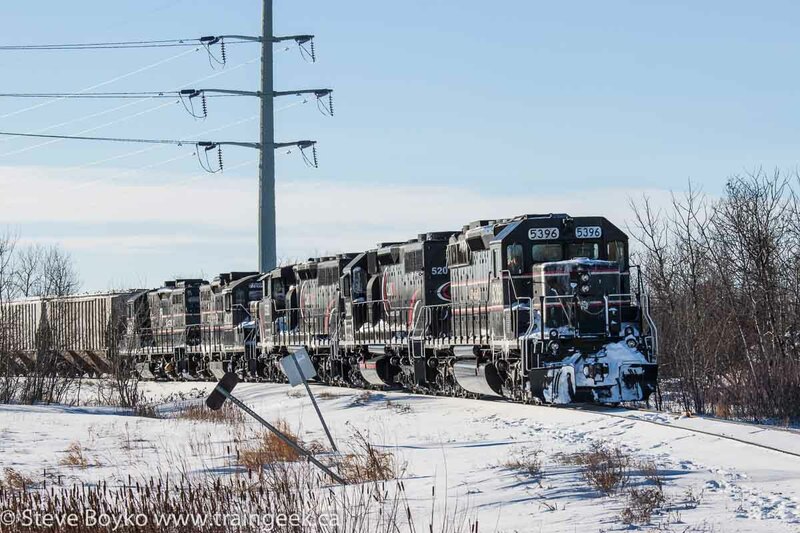 I had a bit of joy on Christmas Eve when I went out railfanning! 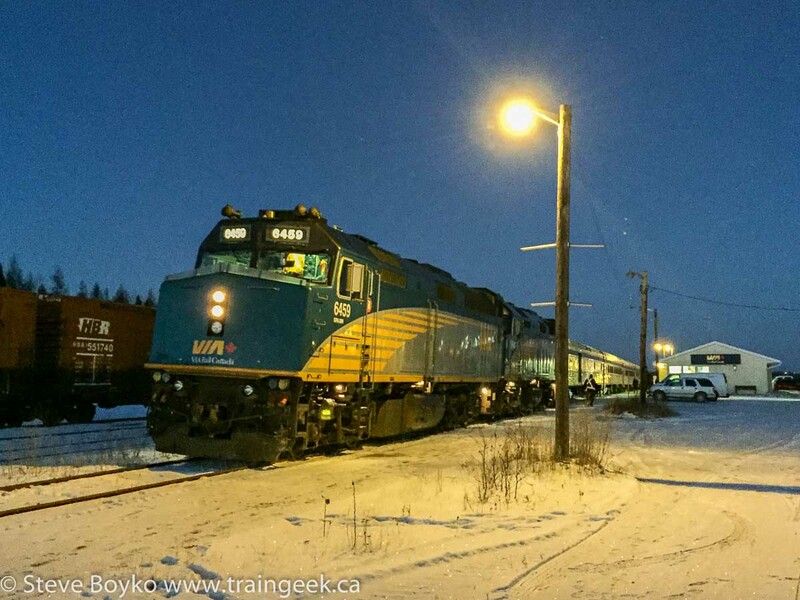 I bundled the kids in the car and headed to Diamond to try to catch the VIA Rail Canadian as it left. I was a bit late leaving home but I hoped that VIA 1 was also a bit late. 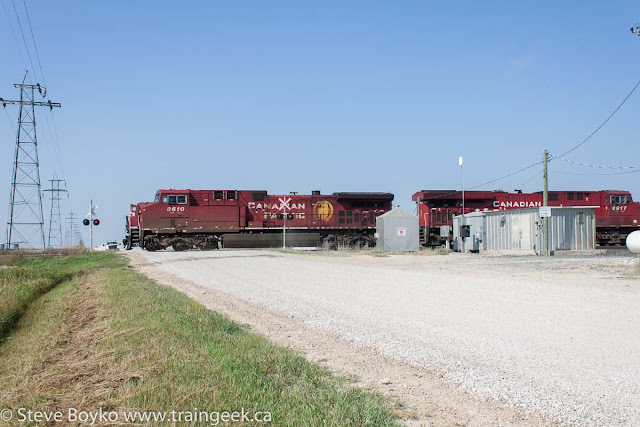 On my way around the Perimeter I spotted a CEMR train at Oak Bluff, with the locomotives on the east end, ready to go back into Winnipeg. I decided that I had a few minutes before they would start rolling so I carried on to Wilkes Avenue and headed east to try to cut off VIA 1 if it was coming. Well, VIA wasn't there, but I did see a CN westbound train, led by CN 2853. 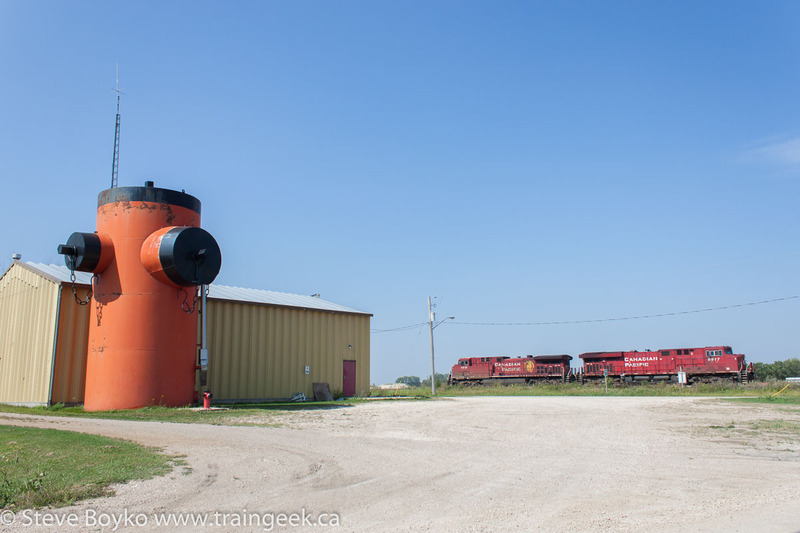 I went west out to Diamond to see if I could see any eastbound trains. 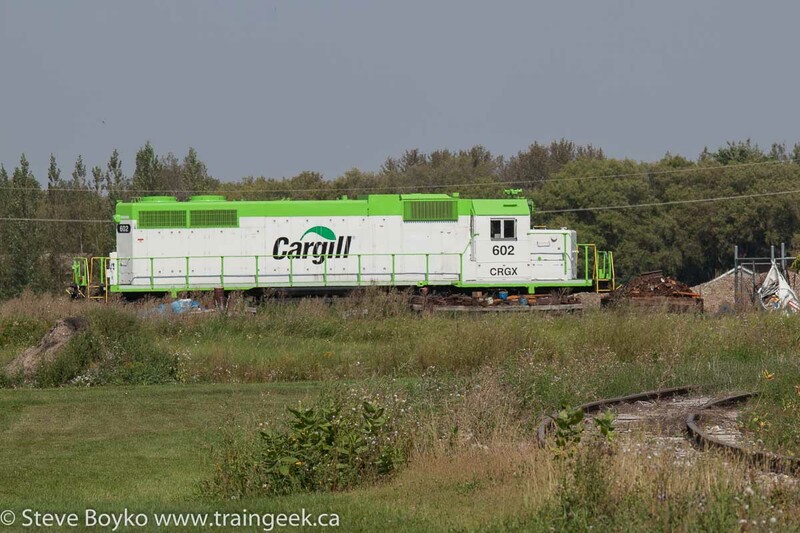 No more CN trains were visible but I saw a CP train waiting to go north on the Glenboro subdivision. 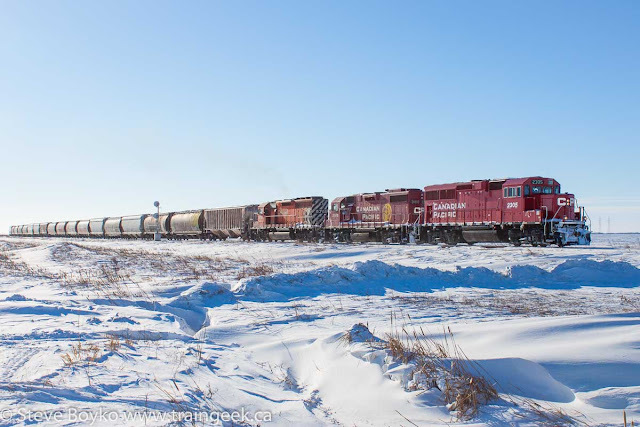 This was a solid grain train led by CP 2305, CP 3100, and multimarked CP 5765. In this photo they are just beginning to pull as they got their light to cross. Weary CP 5765 was the only six-axle power on the train. 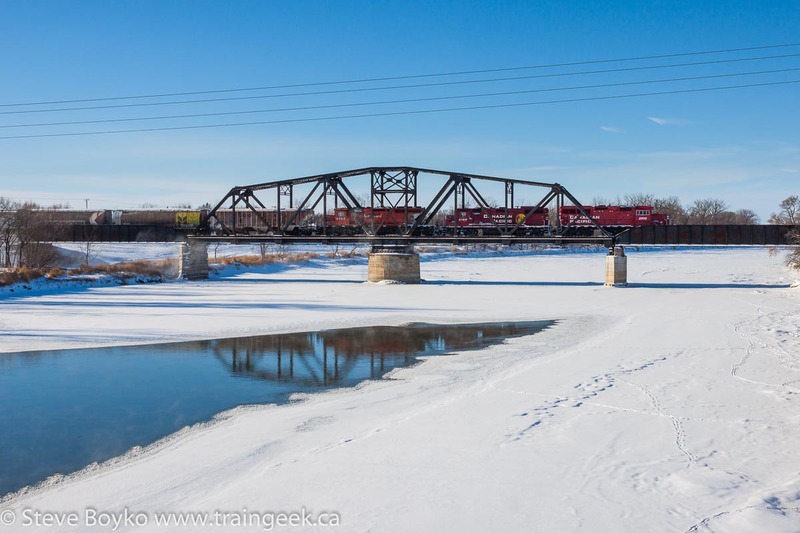 I decided to try to get the train crossing the Assiniboine River. In order to do that, I had to beat them to the crossing by driving along Harris Road / highway 334, a gravel road. Fortunately Harris Road was mostly clear so I was able to sustain 70-80 kph (speed limit: 90) and get to highway 241 ahead of them. I crossed the river and parked on the wide shoulder just north of the road bridge, then sprinted across the road and back to the road bridge to capture them crossing the nearby train bridge. Did I say "bridge" enough in that sentence? 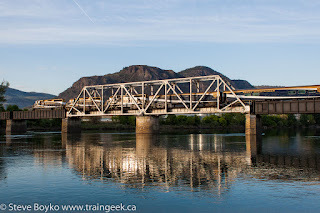 I got to the bridge a few seconds before the lead locomotive started to cross. Just enough! I've always wanted to get a train there. Cross that off the list! After capturing that, I returned to Diamond at a more leisurely pace. Within a few minutes, I spotted a headlight to the east that looked VIA-ish. It was indeed a 40-minutes-late VIA 1, with 6426 and 6453 leading the way. Prestige-class car "Prince Albert Park" brought up the rear. I was glad that I didn't miss the Canadian after all. After it passed, we carried on to Carman Junction to see if CEMR had passed through already. I spotted it approaching the junction and took a few shots. I was surprised to see that they had five locomotives... surely some kind of record for CEMR. Normally you see two or maybe three. I don't expect all five were running. They pulled up to the derail and stopped. Fan favourite SD40-2 CEMR 5396 was leading, followed by new-to-me CCGX 5201, SD40-2 CCGX 5311, and two long-time CEMR GP9s CEMR 4002 and CEMR 4000. CCGX 5201 is a rare SD38AC (ex DMIR). 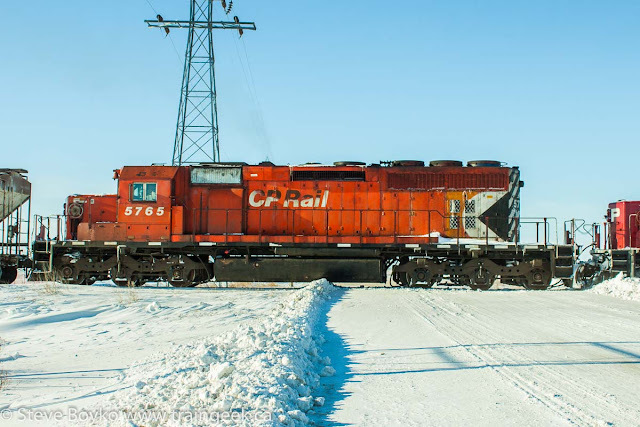 The conductor came out to remove the derail and then got back into the cab. They sat there for a while, clearly waiting for permission to enter the Rivers subdivision. I spotted a headlight to the east, which turned out to be CN 8917 heading westward. I waited another 20 minutes but CEMR wasn't moving and there was no more CN traffic visible, so we headed home. 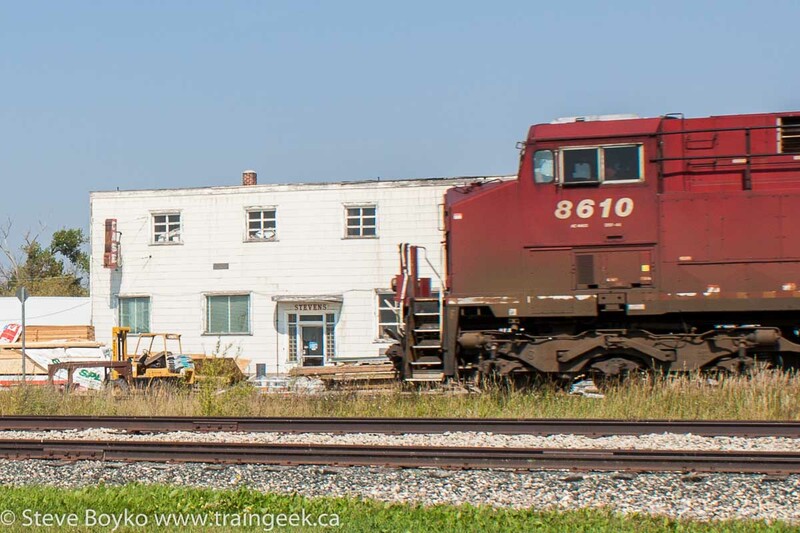 William Brillinger is a modeler who lives near Altona, Manitoba. I had the pleasure of operating on his layout once (so far) and he graciously agreed to answer my 10 questions. In a great twist, his wife Dana also answered the questions on his behalf. I've included her responses afterward. I grew up in a hardware store in a small town in Southern Ontario. I worked in a hobby shop in Kitchener for a number of my teenage years and later moved to Manitoba to work for Promotex. I am self-employed and work mostly in the model railroad industry, which is great because I get to spend most of my days playing with something train related - I manufacture a line of laser cut model railroad detail parts. When I’m not playing with trains, I’m in IT and website development. 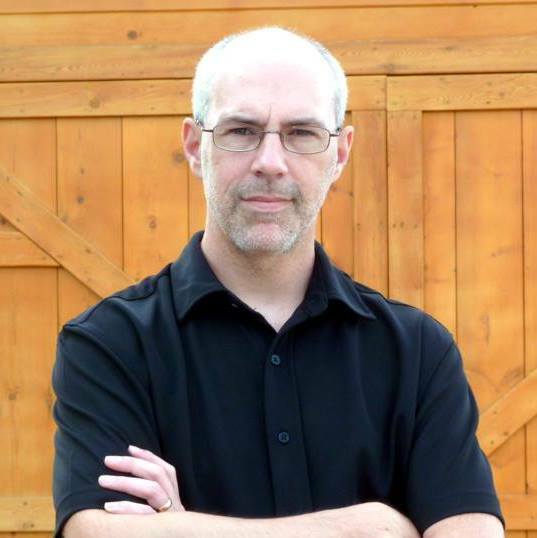 I’m 43 years old and my wife, 2 teenage children, and I live just outside of Altona, MB. I wish I knew. I have always been fascinated with trains. I got my first “real” train set and a subscription to Model Railroader when I was 7 years old from my uncle who was a train nut. I also spent a considerable amount of time around the rail yards in Kitchener and London as a teenager. ...but I still can’t explain why I like trains. Pretty much anywhere, but mostly I enjoy watching the happenings along the Letellier Sub in southern Manitoba since it has a direct impact on my modelling choices. 4. 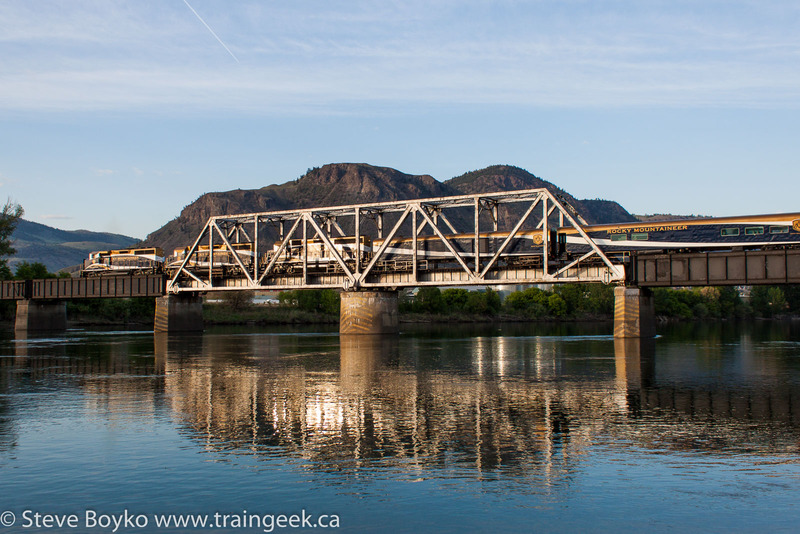 Would you consider yourself a modeller, a railfan, or somewhere in between? I’ve always considered myself in between, but when I really think about this question, I have to say railfanning is a means to an end: my modelling, so I suppose that makes me a modeler. 5. 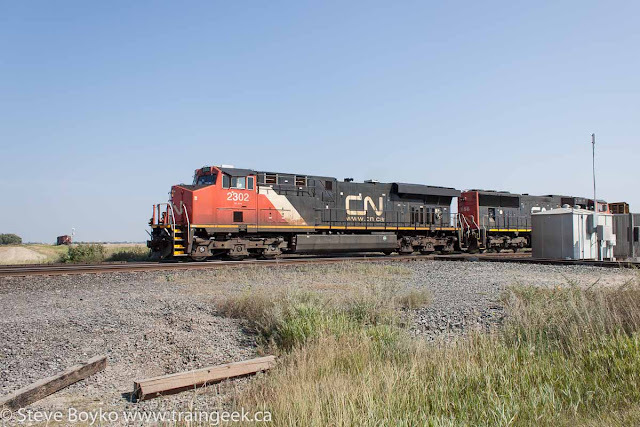 Why did you choose the CN Letellier / BNSF Noyes area to model? I chose the Letellier sub because CN is my first love in the Railroad world and it’s close enough to where I live that I could gather information easily. Little did I know when I chose it how diverse this little connector line would be. 6. What's your favourite railway? Well, here it comes. 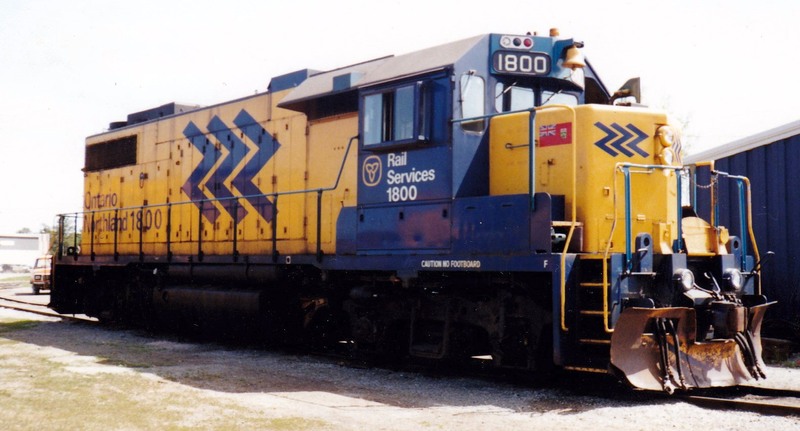 I have to betray my first love and say the Ontario Northland of the 80’s is hands down my favourite Railway. The breathtaking scenery, diverse operations and a stand out paint scheme really captured my attention during yearly fishing trips with my dad when I was a kid, and it would have been the focus of my current layout if it were a little easier to get to from Altona. In model form, I think my favorite railway is Mike Confalone’s Allagash. His series showcased in Model Railroad Hobbyist is inspirational to me. 7. What attracts you to the operations aspect of model railroading? 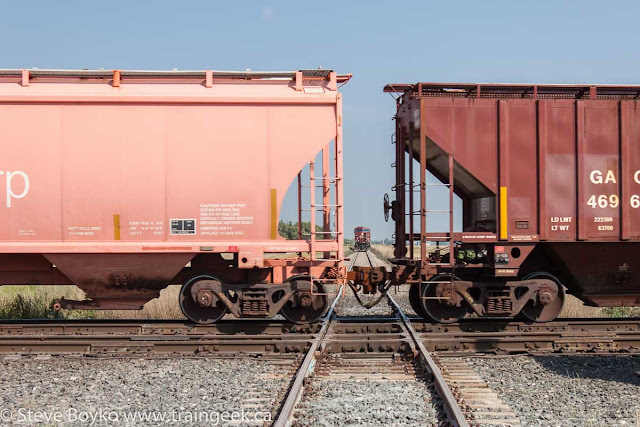 Trains are part of a large complicated system that I find fascinating and moving freight is why they exist. Replicating this system in miniature gives my models believability and I find it immersive. Without aiming for realistic feeling operations, I feel like my toys are reduced to just that… toys. 8. What model would you love to see? A decent RTR SD40-2W would be nice. 9. What projects are you working on? Right now I am working on an APP for the conductors on my 2 man crews to use. The app holds paperwork such as timetables, rules, dbo’s, spins info and zone maps, and simulates brake tests, border crossing procedures and other tasks that people use chance cards or dice rolls to incorporate into op sessions. The app also provides sound effects pertinent to the conductor’s job such as coupler clunks and stretches, among others. It’s web based and there will be a generic version that anyone is free to use. 10. Is there anything better than Allagash Lemon Cake after running trains? BONUS - Bill's wife responds for him! I am an Ontario refugee living in Manitoba. They have been very welcoming but I hate the cold; it makes my hair fall out. Since I like things to happen, I am always busy; directing my family, employee, and committees to complete tasks well. Some things however I’ve got to take care of myself. I built my own house (with some help), and I like to build my own detail parts for my layout. I like the process, so currently I enjoy the plywood prairie running around my office. My kids occasionally come to check up on my progress, or some neat thing I’ve just invented, and my wife comes along trainspotting i.e. taking video of entire trains, recording clunks, or scenery photos, if I promise Chinese food in Emerson. I inherited “Art” from my mom and “Computer” from my dad, so I was well suited to deliver pizza early in my marriage, which has since morphed into a tidy IT business, and hobby focused detail parts business, and the ability to paint. I participate in the online model railroad community and enjoy bringing the rail equipment I photograph to exacting perfection in HO scale. They are like thunder, harnessed power, directed to a useful, orderly, and efficient purpose. OK, I sat on a signal catwalk while a train rumbled by beneath me, and it was awesome! In Manitoba I like to hang out near the Emerson/Noyes crossing. 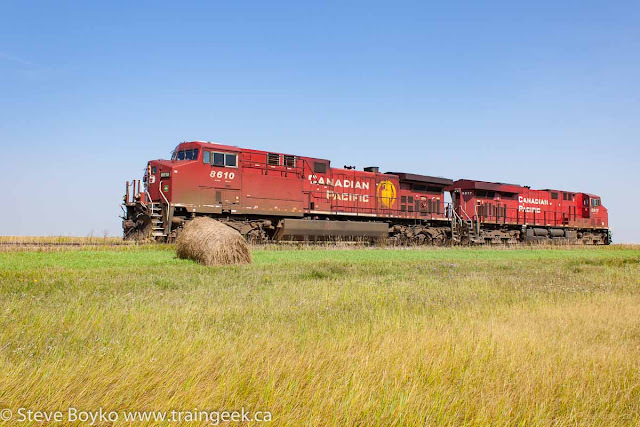 The BNSF, CN, CP, and SOO can be spotted and often recorded while stopped for customs or crew change. Of course the US customs officers get annoyed if they think you are too interested in their VACIS system. Also the Chinese restaurant is pretty good and my wife will come along. I consider myself a modeller. I plan to build my own specialty pieces with materials labelled, styrene and thou, with evil smelling solvents, paints, and glues. When working with purchased rolling stock, I measure wheel spacing, replace couplers, cut off inaccurate parts, and make custom decals. Eventually, perhaps using my fantastic laser cutter, I plan to build my own buildings for my layout. Of course, the amount of time I spend trackside for “research”, throws me into the railfan category among my family. 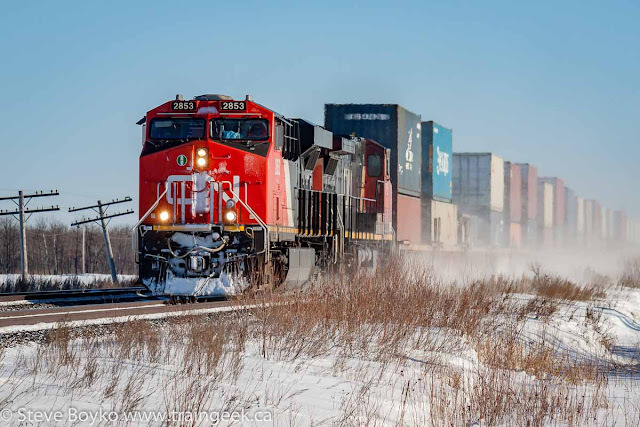 The CN Letellier / BNSF Noyes area is diverse, not crowded, with steady traffic, and close to home. BNML trains squeeze through the border with CP & SOO which makes for an interesting puzzle when transferred to the plywood prairie. Solving the switching puzzles efficiently is challenging and fun but it’s running the layout, bells, whistles, switches, delays, pick-ups, deliveries, and paper work issues really make the experience engrossing. Currently I am working on laser cut hooks, shackles, binders, switch machines and card boxes for sale… And lighting and wiring on the plywood BNML. Fascia is next. Steve here. Thanks, Dana, and thanks again for the delicious Allagash Lemon Cake! I was talking with a friend last night via Facebook messaging about photography and where we share it. He's a fan of Flickr and I'm... not. I found it funny that he, a young fellow, likes Flickr while this old guy likes Instagram. I thought it was supposed to be the other way around! I'm pretty social online, but I spend the majority of my social time on Facebook and Instagram. I'd like to like Flickr more, because there are some super talented rail photographers on there, both seasoned and up-and-coming, like George Pitarys, Matthew Robson, George Hamlin, Hal Reiser, Michael Berry, Phil Ross, Caleb Wentzell, Matt Landry, David Gray and Julien Boily. When I see a photo I like, I usually click the "like" or "favourite" or whatever the "this is cool" button is on the site I'm viewing. When I really like it, I'll leave a comment. I think this is a good way to show the photographer that you really appreciate the photo. On Flickr, like many other platforms, it will notify you whenever someone else comments on the photo after you. The difference with the mobile version of Flickr is that there seems to be no way to turn that off. On Facebook or Google+ you can disable further notifications easily from a mobile device, but there's no way that I can find to do that with the mobile Flickr. You have to remember which post is nagging you, then go to the desktop version and turn it off. Who's going to do that? What ends up happening is that I don't comment on Flickr photos much, to avoid being nagged by the mobile version. That's a shame, because contributors deserve to get notice, and although my one comment isn't much, every little bit helps. 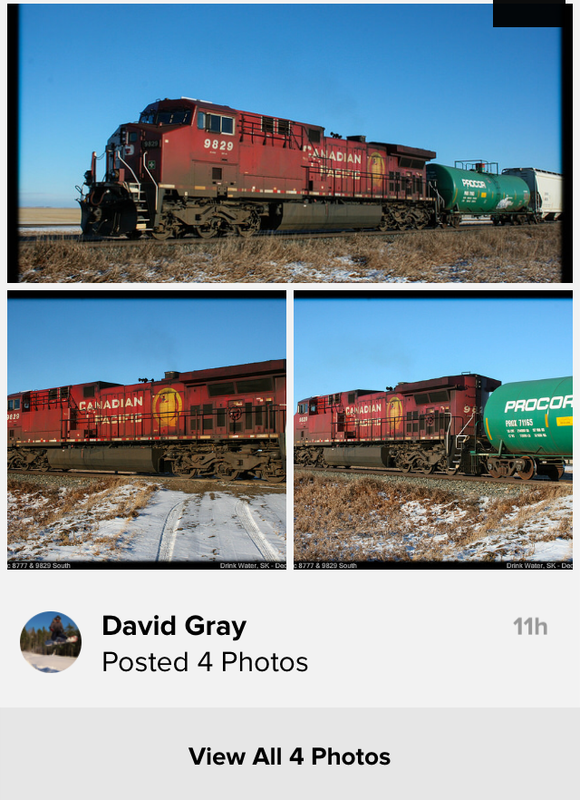 Like other platforms, Flickr allows you to post multiple photos in one post. The problem with Flickr on the desktop is that only one of them is really visible and the others are tiny thumbnails. 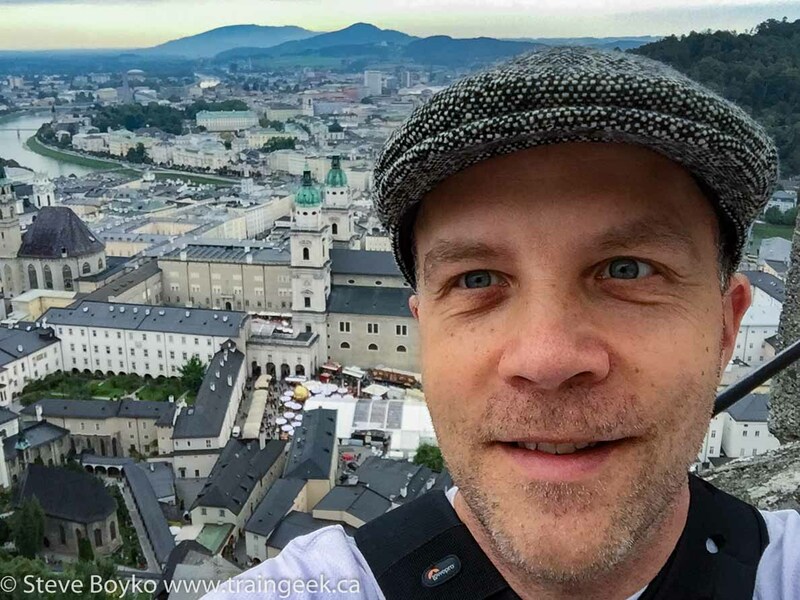 I'll use David Gray as an example, just because he happened to be near the top of my Flickr feed when I wrote this post. Check out his blog, Going Trackside, and his YouTube channel! Here's a recent post of his on the desktop version (see it on Flickr). Here if you click on the star icon like I did, you are liking the big photo. You can click on the other photo icons to see them. It works OK. The difference between this and Facebook is that you are liking the one photo, not the post of photos like Facebook. It's a difference in platforms, where Flickr is photo-centric and Facebook is post-centric. Here's the mobile view of the same post. The problem here is that there is no way to easily "like" the post or photo. You have to tap "View All 4 Photos", then you see all four photos, then you have to tap one of them, THEN like it, then back out again. Four additional actions. Compare that to Instagram, where everything scrolls by in one feed. You see a photo, double-tap on the photo itself to Like, scroll on. It's super quick and easy to use. I know it sounds like I'm whining, and I am, but I want to point out that mobile versions should be designed to be super quick and easy to use or people won't use them. 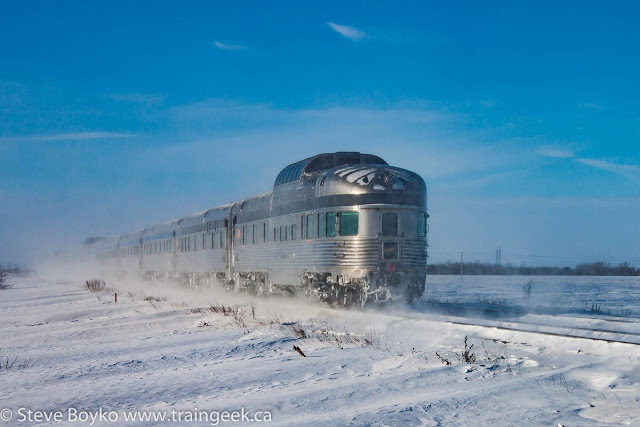 Both CN and CP ran special trains for the holiday season in Winnipeg in the past few days. 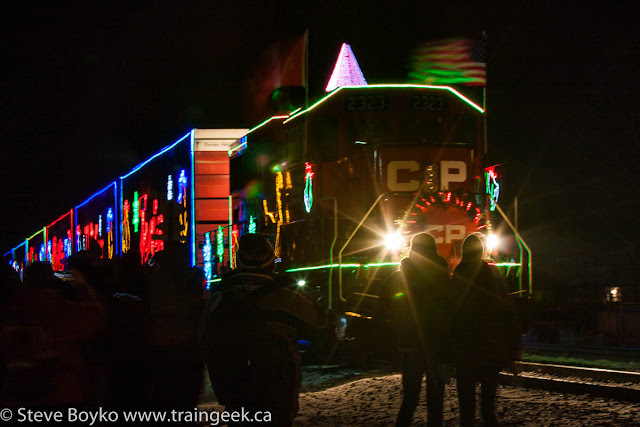 CP ran its Holiday Train again (for the 17th season) and it was in Winnipeg on Friday December 4th. CN ran its employee special train over three days, beginning on the 4th - so on Friday we had both railways running Christmas holiday trains. 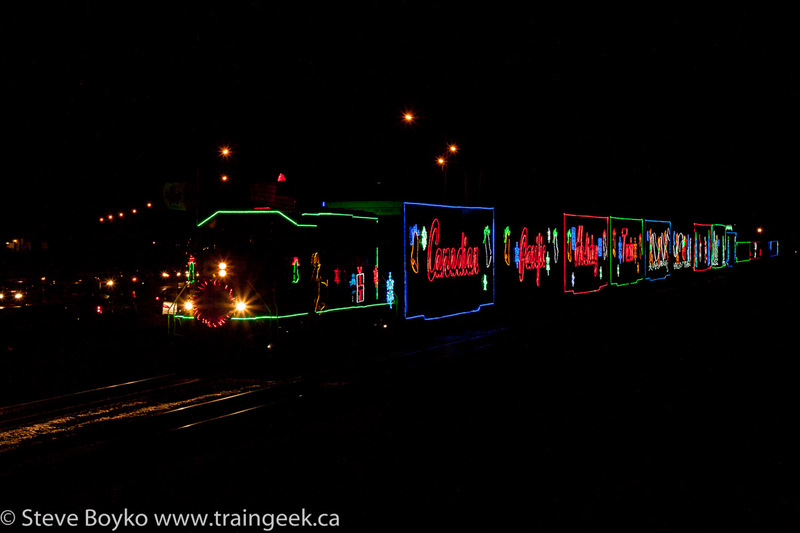 I only saw the CP Holiday Train but other railfans saw the CN trains. It was a mild but windy night on Friday night, and I was out early to catch the train coming to its parking spot by Panet Road. I decided to shoot it just east of the highway 59 overpass. I parked close to the scheduled stopping point and walked to the overpass. I looked around a bit and decided to go up on the "shoulder" of the overpass to get a bit of height. I set up my tripod and started fussing with my camera to lock in the focus in the dark. As I was doing that, my tripod blew over! I guess it was good that I didn't have my camera on it yet. I lowered the tripod and kept my leg against it to stabilize it. I was using my 50mm f/1.8 lens because it's the most light sensitive lens I have. I put the lens in manual focus - since it's a prime lens you can't zoom anyway - and the camera in manual mode. Soon the train came into view and rolled on past my lens. Once it passed, I walked back to the main scene. There was quite a large crowd and the performers sounded great. I dropped off my donations to Winnipeg Harvest (a great organization my family and I support) and took some photos. Here I was using my tripod like a "selfie stick", holding it up over the crowd after setting off the 2 second timer and hoping for the best. The performers were Devin Cuddy and Kelly Prescott. There were quite a few people up at the head end, and as usual it was difficult to get a clear shot. The CP Police and other CP personnel were very much in evidence, keeping people from standing between the rails and unfortunately also standing in the shots. I didn't fret too much about it this year. 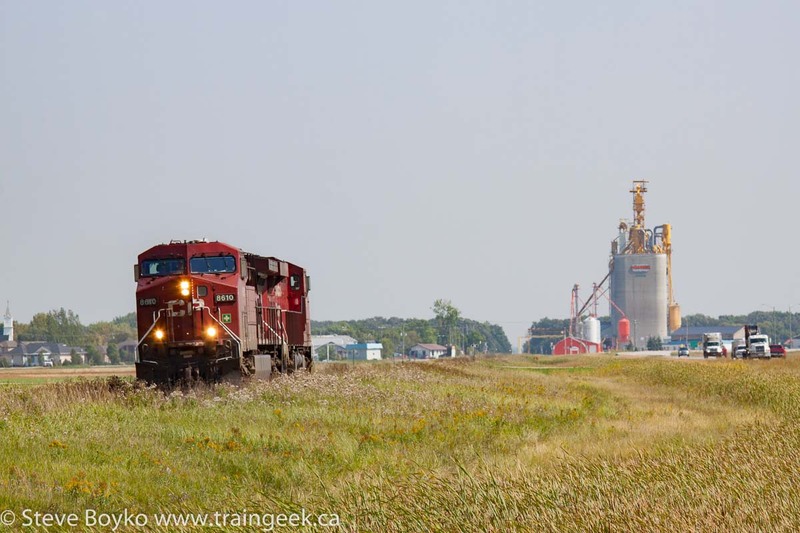 Jack Hykaway caught it both before and after Winnipeg - in Whitemouth as it rolled on by, and by the Meadows grain elevator Saturday as it headed toward Portage la Prairie. Check out Jack's YouTube videos! 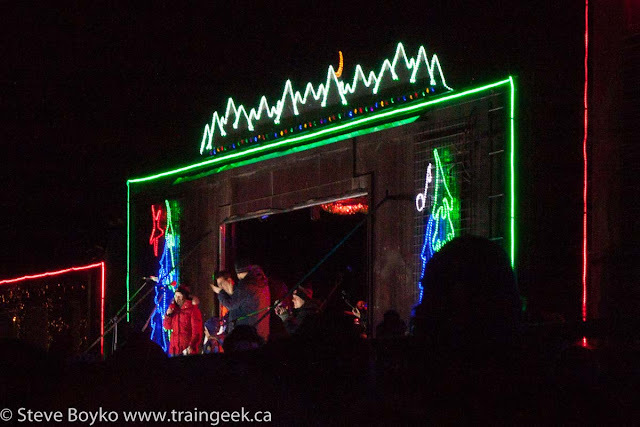 The CN Christmas train ran from Symington Yard to Waverley Street and back, twice a night at 5 and 7 PM. 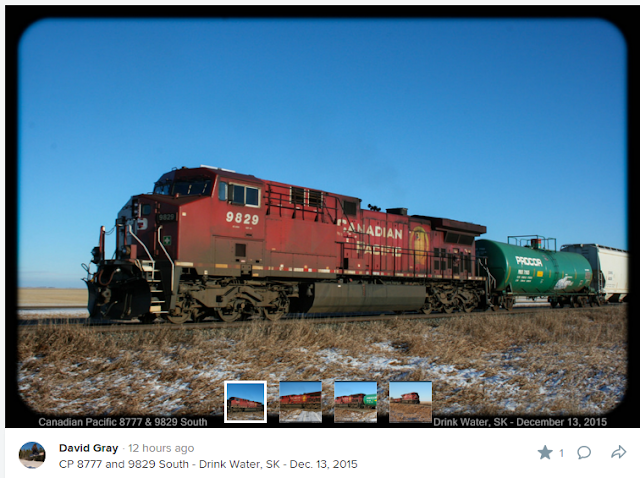 I didn't get out to see it but Taylor Woolston did, and took some great video of the train at several locations. CN wins on the power department with E9A CN 103 accompanying CN 5755 and the four VIA coaches (8139, 8144, 8118 and 8116 I'm told). 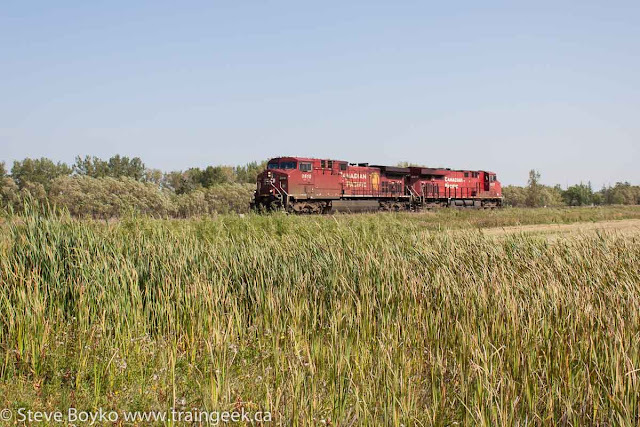 It also had a caboose, Operation Lifesaver CN 77014. 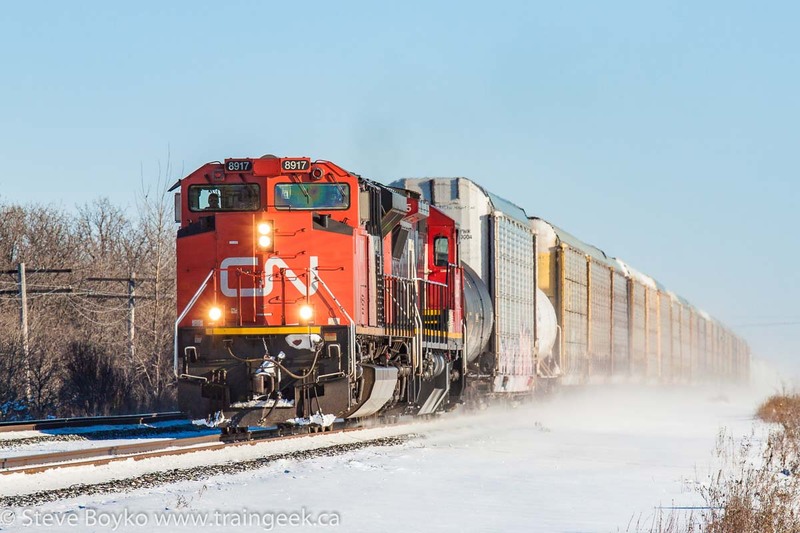 The CN train was only for employees. 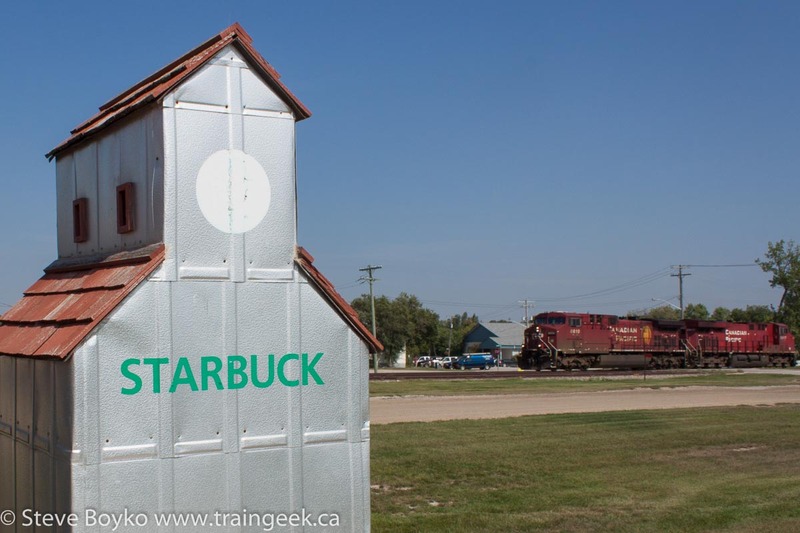 I understand the CN train is only going to a few locations - Saskatoon and Edmonton, maybe? It is also raising money for charity. Last year it was for the Christmas Cheer Board, an organization my family supports. Did you get a chance to see the CP or CN holiday trains? 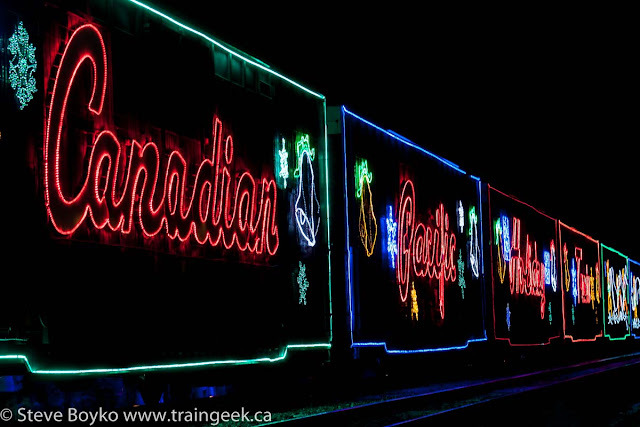 Extra: Check out this super cool drone video of the US Holiday Train. 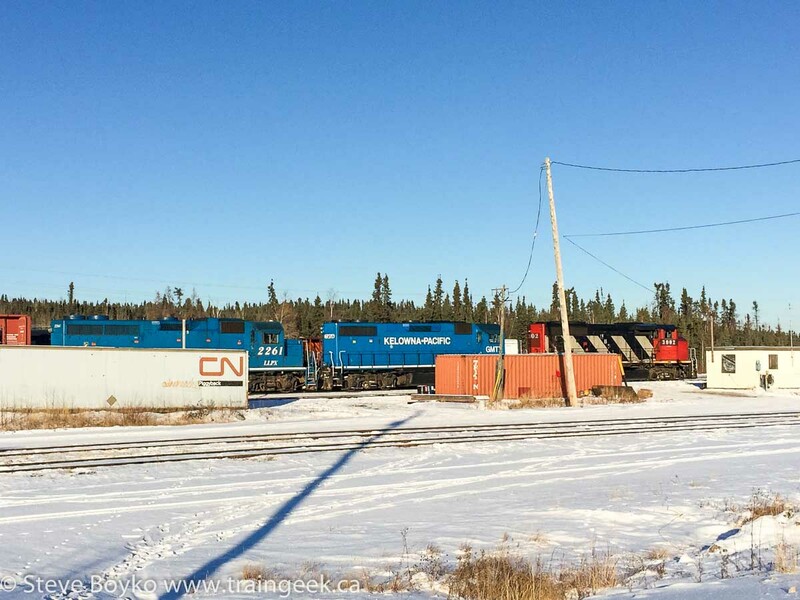 The CBC is reporting that Omnitrax is going to put their Churchill railway line (the Hudson Bay Railway) and the Port of Churchill up for sale. The president of Omnitrax Canada, Merv Tweed, has stated that the port and rail line will be sold together. 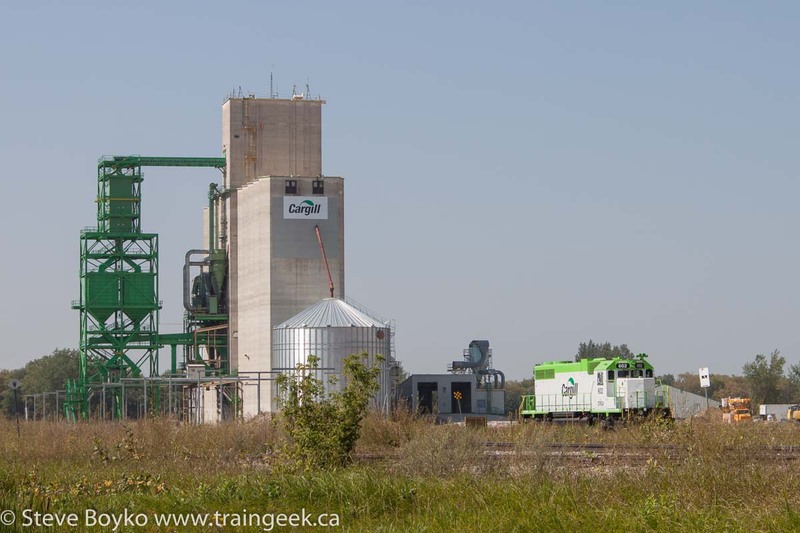 A sharp decline in grain shipments this year, and "expressions of interest on it in the last three to six months" led to the decision to put the pair on the market. OmniTrax bought the railway line between The Pas and Churchill in 1997, the same year that they purchased the Port of Churchill. The line spans 627 miles and the Hudson Bay Railway interchanges with CN at The Pas and with the Keewatin Railway Company at Sherritt Junction. 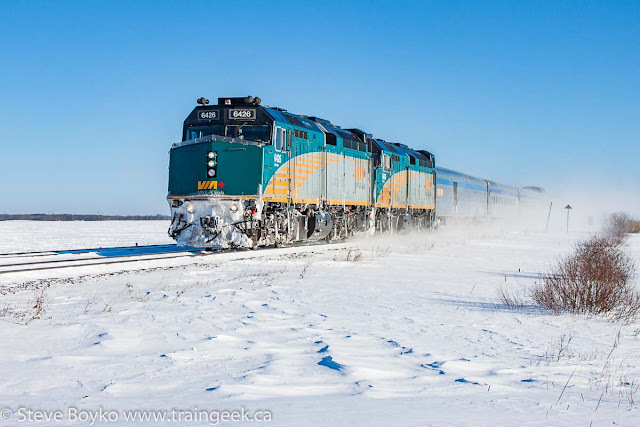 VIA Rail's Winnipeg-Churchill train operates over the Hudson Bay Railway between The Pas and Churchill. It remains to be seen if this is a serious attempt to sell the line/port, or a tactic to gain more government funding of the line or port. To me, this quote from Mr. Tweed is particularly telling: "If governments want that [the railway as a social service to the north] to continue, which I believe they do, then I believe they should be a participant in the costs of that and we've explained that very clearly to them. We've shown them the costs of doing business in the north and we hope they respond." 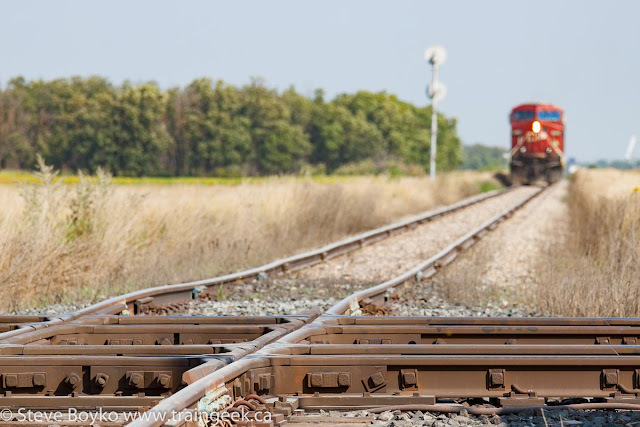 UPDATE: The port and rail line have been tentatively sold to a group of First Nations, who are looking for government assistance.